It is pretty much the same greatness. The exclusive gift was just removed. For a down rate of 150 pesos, you can sample 3 items right a way and that's a much greater deal than a 1 item gift. Anyway, the exclusive gift is almost related to the samples available. 2 points have been added to every sample you get. 1 point for reviewing and another point once it was approved. Unlike before, it was only 1 point. The whole idea of sampling was really a good deal especially for me who wants to try all things new but can't spend too much to buy all these products. I've said it on my multiple posts about Sample Room. 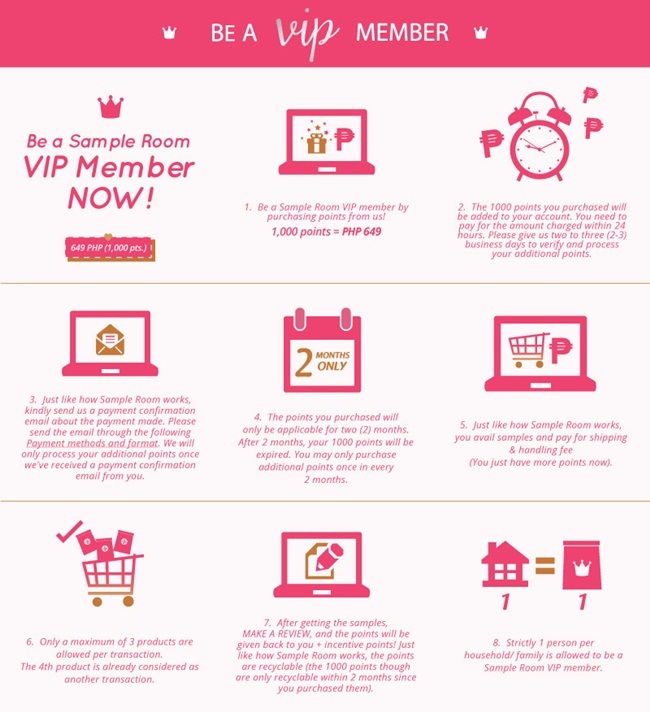 You don't just double the money you pay for being a VIP member, it is even more. I can't explain any better, so you might want to refer to the photos I grabbed from their site. You can also learn more about it HERE. 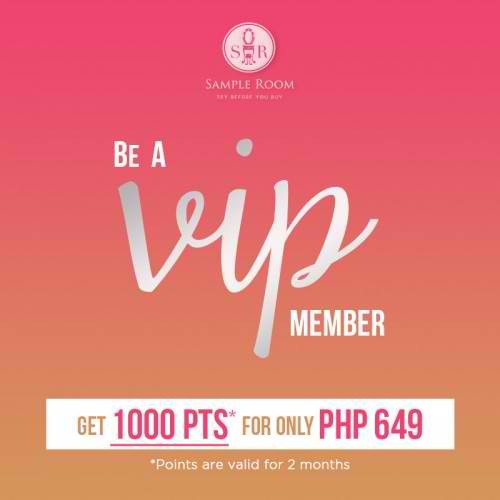 Because I finally made my spot, I can finally say "Hurry, be a Sample Room VIP Membership now until stocks last!" I actually would like to tell you my computations of all the products I sampled but I guess, it will take another story for me to tell. One of these days, maybe. Yaay. 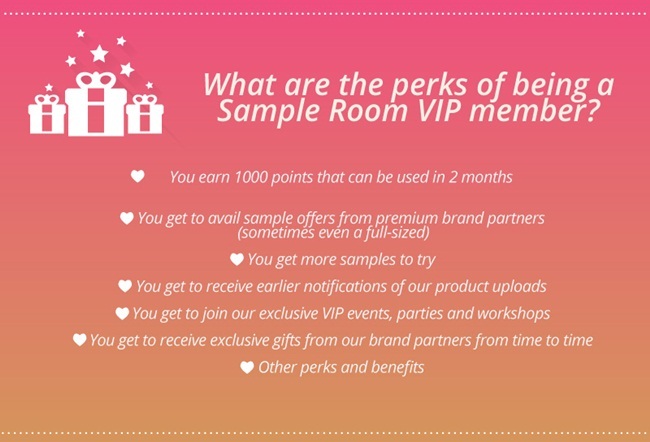 The VIP membership looks so much fun, there are lot of benefits. I am looking forward to the next post where you write about computation of the products. I am new to this and your posts are really helpful in understanding how sample room works.